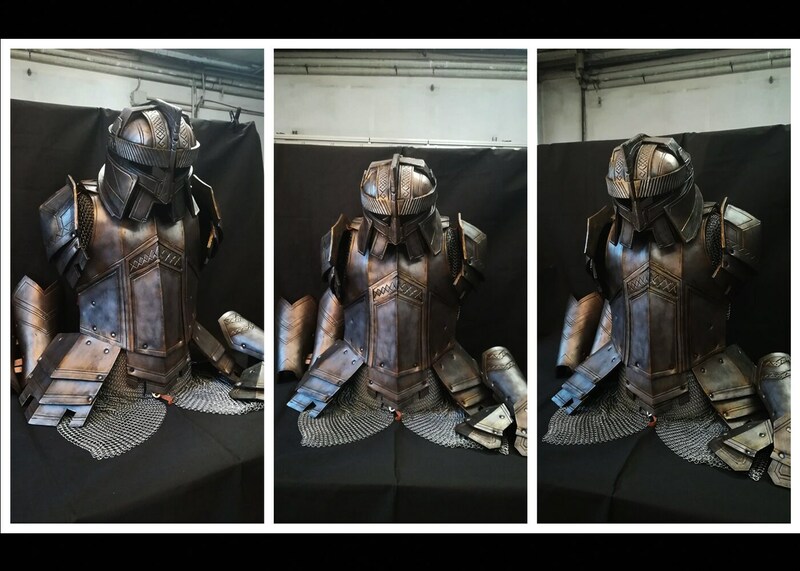 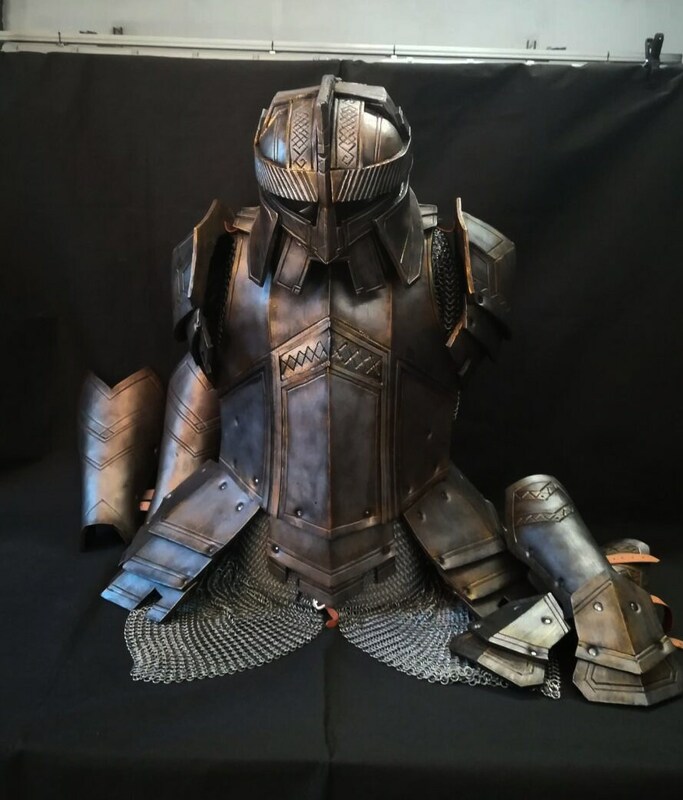 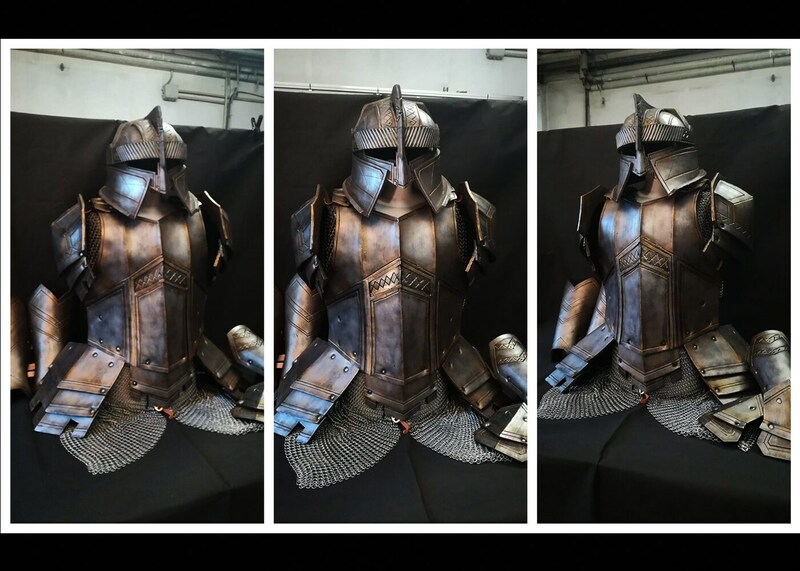 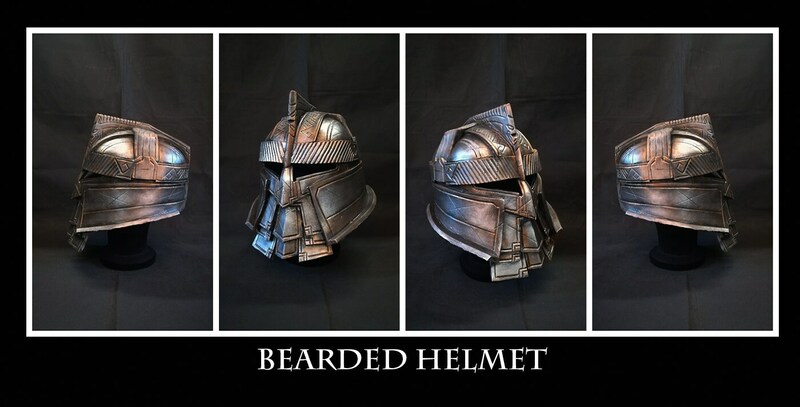 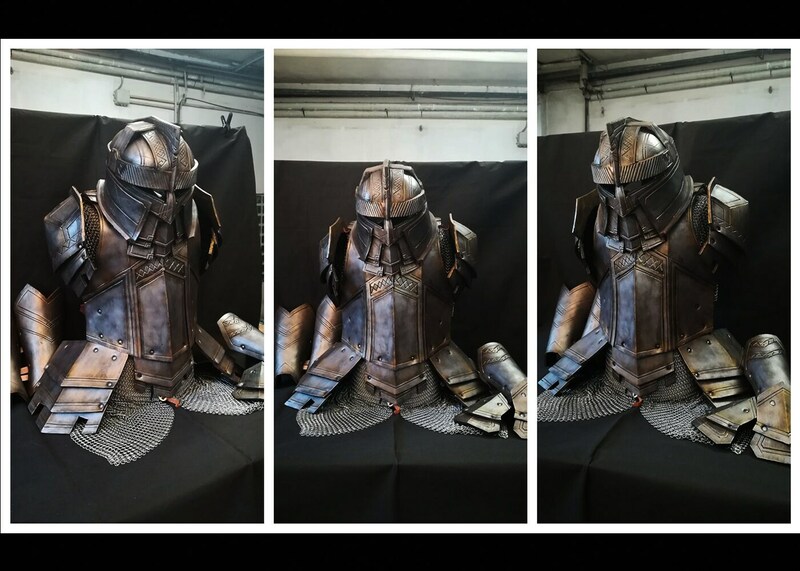 Erebor armour set from The Hobbit trilogy, made from thick EVA Foam. 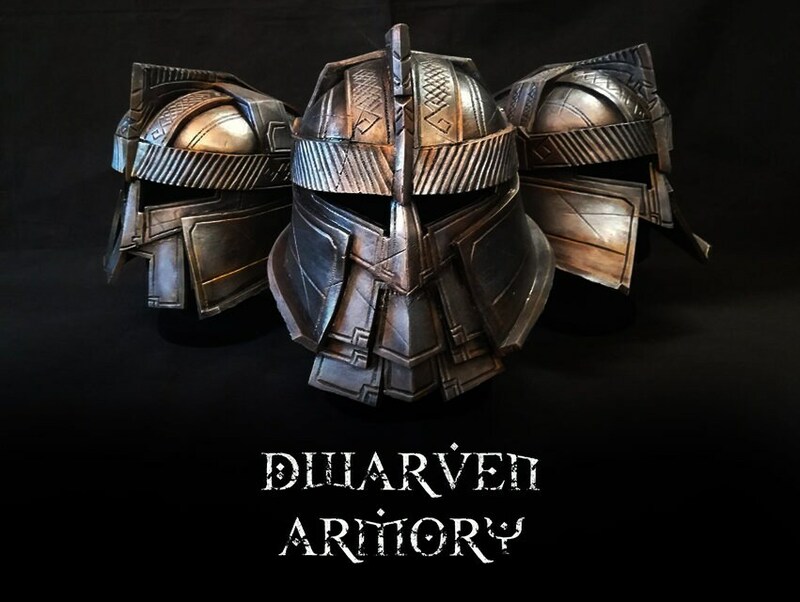 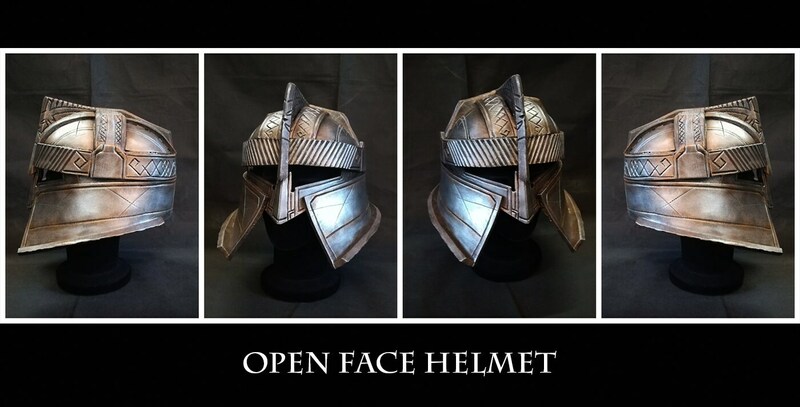 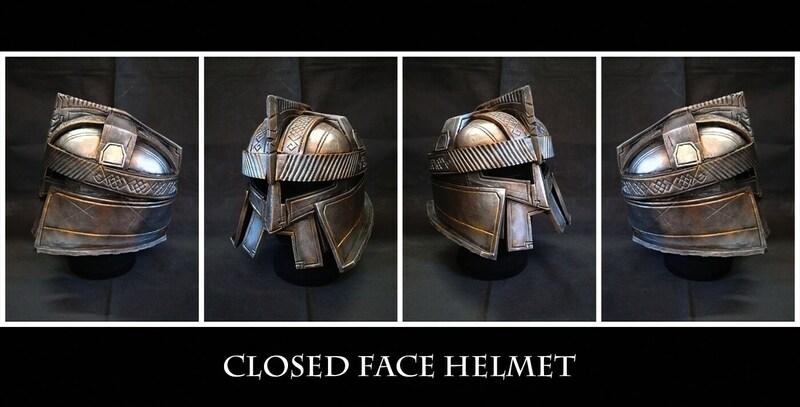 Three variants of helmets are available, check the pictures and chose your style! 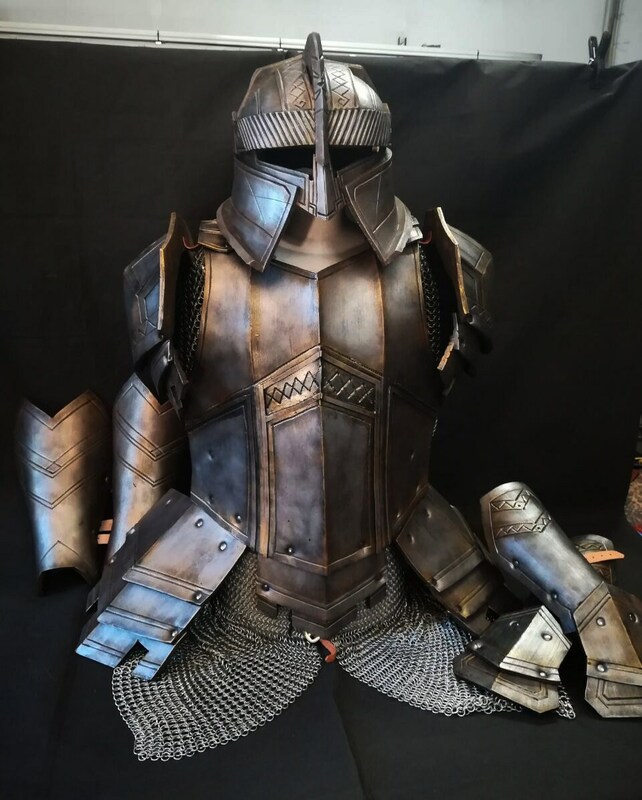 Just contact me and feel free to ask, I will get back to you as soon as possible! 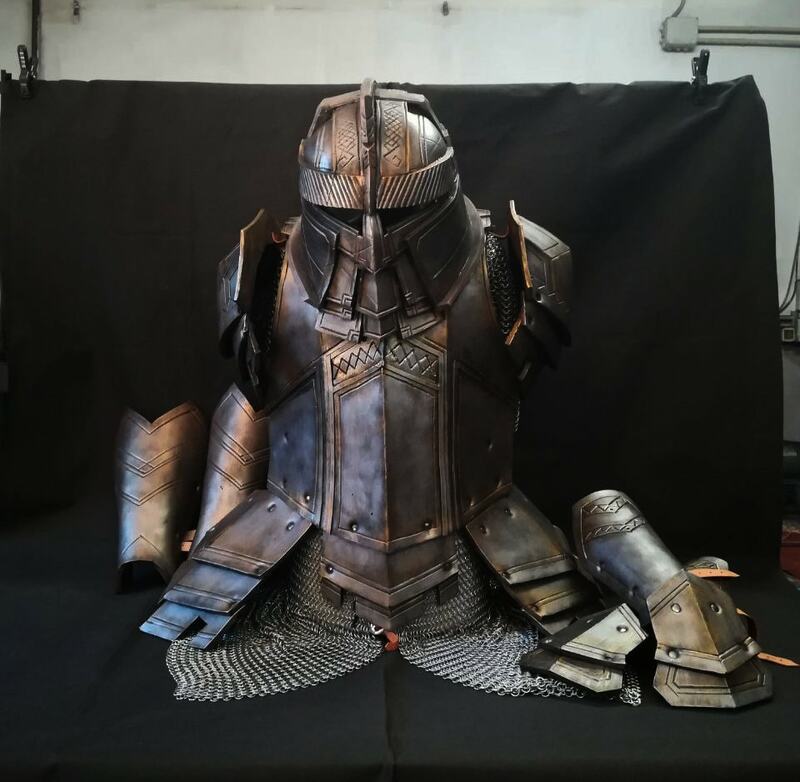 The set fits almost everyone, but please make sure to send us your height and shirt size upon ordering!